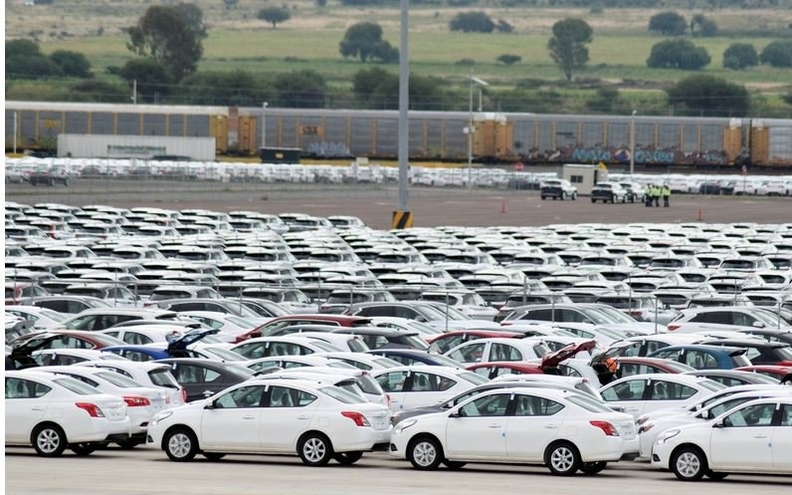 Despite President Trump backing from an immediate threat to close down the U.S. border with Mexico, the automotive supply base is ramping up its efforts to ease the pain of that threat. Scott Worden, manager of corporate communications for Magna, told Crain's Detroit Business via email that the "threats and rhetoric around a border closure" have caused the supplier to contingency plan. Crain's is an affiliate of Automotive News. Companies in Michigan generated $65.5 billion in trade with Mexico in 2017, or about $7.42 million an hour, so any material shutdown of the border would trickle through the entire economy. The threat of a border shutdown subsided further on Thursday when Trump told reporters he would give Mexico a one-year warning to improve how it handles the flow of illegal immigrants and drugs before he would close the border. "A lot of good things are happening with Mexico. Mexico understands that we're going to close the border, or I'm going to tariff the cars," Trump said on Thursday. Separately, Mexican exporters said this week they were looking into sending their goods to the United States by air freight to avoid a five-mile-long line of trucks at the border caused by the Trump administration moving federal agents away from customs checks to immigration duties. Automakers and their suppliers typically use air freight as a last resort to keep assembly lines operating amid parts shortages.